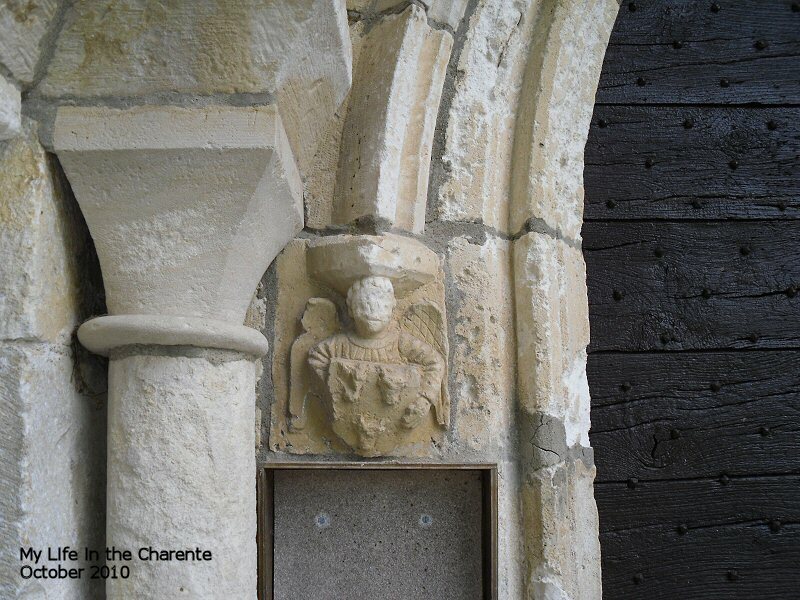 Saint-Mary is a municipality in the north-east of the Charente located 5 km west of Chasseneuil-sur-Bonnieure. 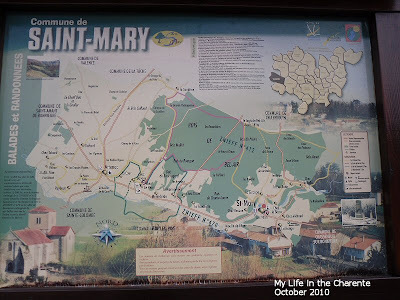 The village of St. Mary is located in a deep valley, through which runs the river Marillac, a tributary of the Bonnieure. I know it is a deep valley, as my legs complain when I cycle through it!! I presumed that this was one of the old gateways from the village up to the Chateau of St. Mary. I need to explore further, as there must be a larger entrance on the other side. 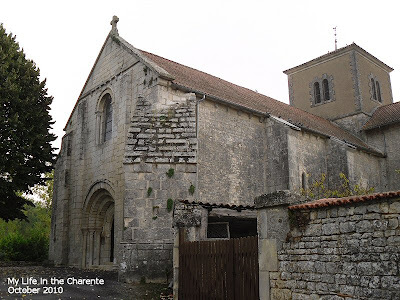 The church of St. Mary is an ancient priory that depended on the Abbey of Our Lady of Nanteuil, but the date of its founding cannot be precisely fixed . This church is remarkable for the purity of its architectural style (according to my research!!). 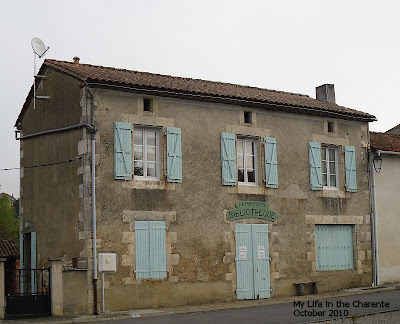 The main road through the town is the D27, a two lane modest but scenic country road from Chasseneuil to Mansle. 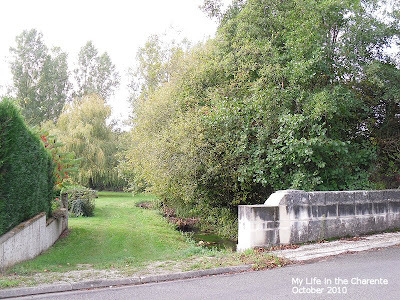 It runs along the right bank of the Bonnieure, passing a cave at Artenac, a hamlet adjacent St. Mary. 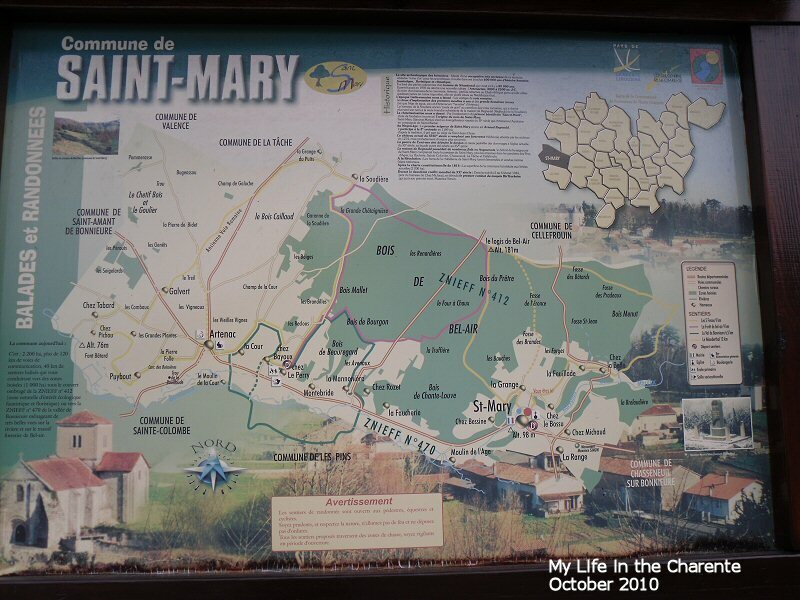 St. Mary has been occupied by man since time immemorial and in 1995-1996, two fragmentary humanoid skull bones were uncovered during excavations in the cave. The two bones are relatively fragmentary, but sufficient detail has been preserved, including the shape of the forehead, to establish their identity as Neanderthals. 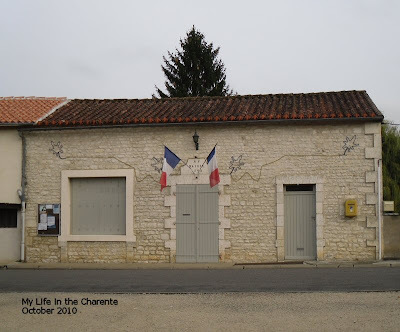 Having looked briefly around the village and looked up some of the history, which unfortunately for me is all written in French, I feel I must return to try to find out a bit more. It may be better to go there on a weekday when the library is open, to see if I can find some less complicated information that is easier for me to translate! Thanks Anne, glad you recognise the header!! You nearly had a frantic phone call re my laptop hoping Arnie could talk me through a problem but suddenly a flash of light dawned and I fixed it!!!! I am sure things will be quieter in the New Year (or I hope so) we WILL meet up and make a plan. Look after yourself meanwhile. I never tire of seeing your photos and stories of where you live in France. Thanks for showing us this pretty village. What a lovely little village, Diane. 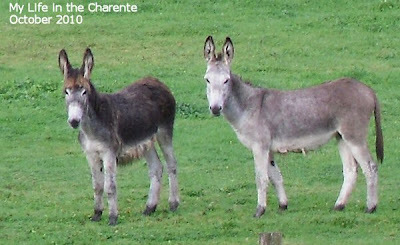 I do love all those arches and doors but am in love with your donkey friends... they are adorable!!! Interesting to know that Neanderthals have been living there!! Good luck with finding out about the history of all the places you show us! Many thanks for your wishes too! First of all - thank you for the tour. This place is beautiful and full of history. The architecture is fascinating. What a great little village. Love the stone work. Marvelous library, which you should take advantage of. 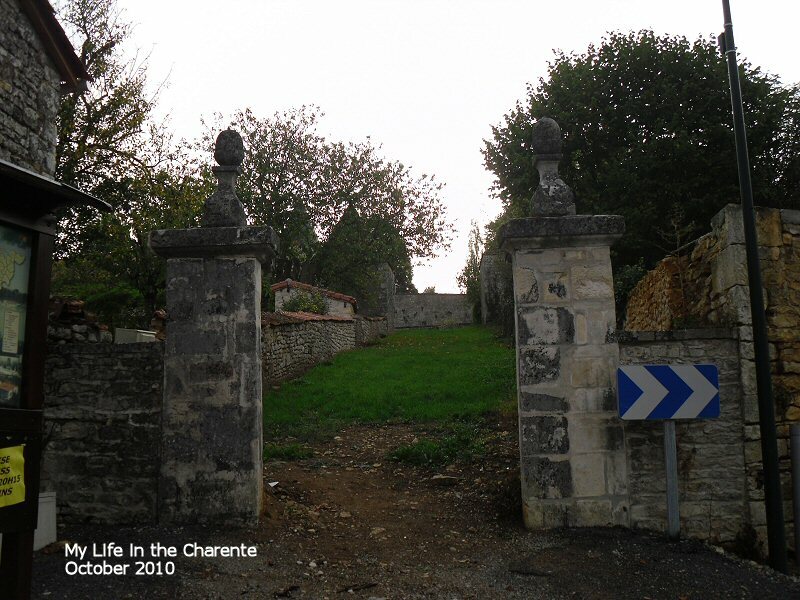 The Chateau's history is long. Another great post... what a beautiful village. Happy holidays! Some interesting history here. I hope you are able to find out more. I'd love to wish you and your husband a wonderful and very Merry Christmas also. May you both have a prosperous and happy New Year. Thank you for another interesting tour. I appreciate the time you spend on your posts. You have shown us so many places that many of us will never get to see, even if we get to France. Merry Christmas, Diane and Nigel. Merci de vos bons voeux Diane.Et de tous ces beaux village que vous avez photographié et que vous présentez si bien! Que la nouvelle année vous garde en grande forme vous et votre famille et que vos entreprises soient couronnées de succès! Graham my husband also has a large head so you must be from the same clan!!! This post clearly shows what I like about France. Wherever you go there is something interesting to see. I always thank you for visiting my blog. I wish You and your Family a Peaceful and Happy Christmas. Both Maire and library buildings are so cool! Saint Mary must be a lovely place. Also like the donkey shot. Happy Christmas to you too, Diane. Fernando Santos (Chana) .Obrigado pela sua visita. Feliz natal. Have a wonderful Christmas Diane ~ I look forward to more of your lovely informative posts in the New Year. What a quaint little town. 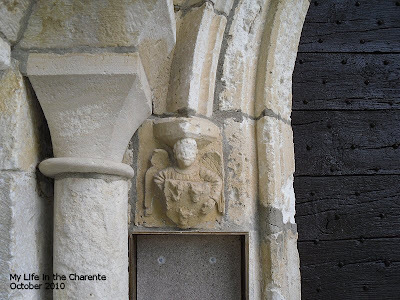 Interesting church of medieval romanesque architecture if I'm not mistaken. Merry Christmas to you!! Thank you for taking time greeting everybody in different languages! Just love it!!! Saint-Mary's is lovely; their bibliotheque is very similar to mine in size! 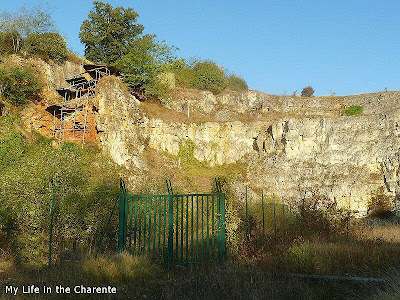 And there were Neanderthals there, too; isn't it amazing when a place has so much history? What a beautiful village, full of charm and history. Merry Christmas to you and yours, Diane! Lovely village. I love seeing these old places you share with us. Merry Christmas. What an absolutely lovely tour!! I love history so much and I think this village is overflowing with it! How I'd love to explore with you - well, I guess I can - through your blog!! I just love blogging!! Blessings for a lovely Christmas week! Thank you so much for sharing it. The town looks really quiet. Probably, there's not many people staying there. Love the ancient art of the church. Hope you're having a great day & stay warm. p/s it doesn't matter for having fish or chicken! We should be thankful for having such wonderful meal during the celebration. Enjoy! Hello Diane, You have a lovely blog, the kind I enjoy, I will be coming back for more. I went into your recipes too, great ideas!. Merry Christmas !! Diane, thanks for the tour around this great little French village. It's beautiful and I love reading the history of such places. Love the donkeys also. They were probably enchanted by you! Here's wishing you Joyeux Noel and the best to you and yours in the coming year! I enjoy drinking Pineau des Charentes – I don’t think I could find it in the Atlanta region but when I visit my cousins in France they always have some. 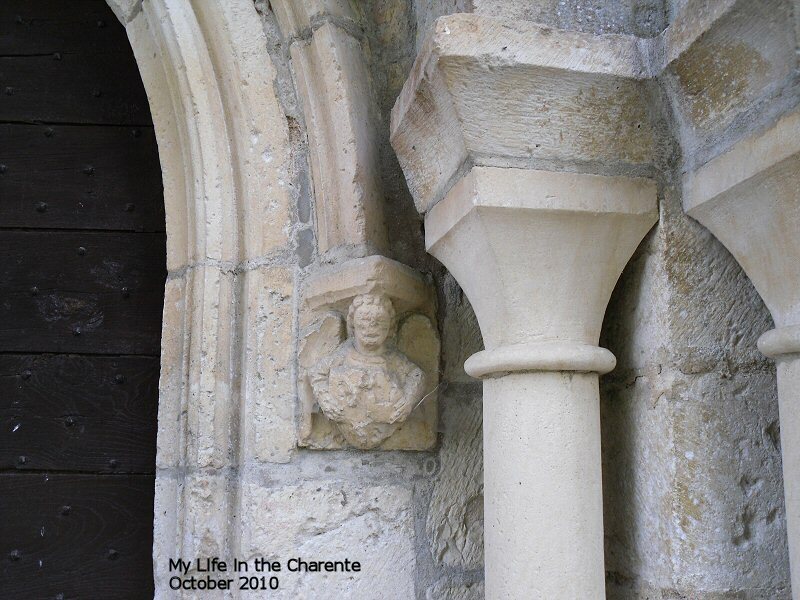 I have been to the Charente Maritime at La Rochelle – which of the two Charentes do you live in? 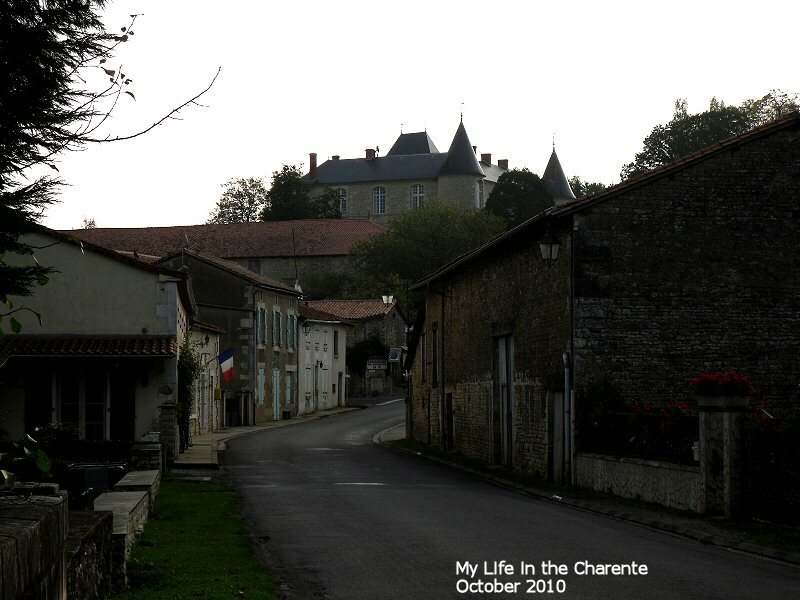 Your photo does show the classic little French village. Have a Merry Christmas and a great New Year. Vagabonde we also love Pineau, I have brought some back for us to enjoy on Christmas day:) We are in Charente not too far from La Rochefoucauld. We have not yet been to La Rochelle but it is on our 'to do' list. I gather it is very beautiful. It is far enough away that we would need to stay over night.